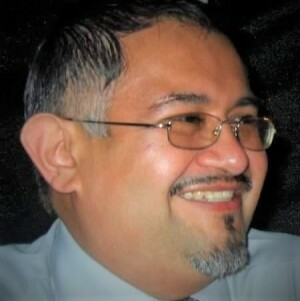 Martin Ramirez, Son of Amado Ramirez Jr, and Maria A. Gaitan. Big Brother of Michael and Mark Anthony Ramirez, Father of Cristian E. Ramirez has left to be with our lord, at age 47. "Marty" will always be remembered for the kind-hearted genuine soul he is. He would never shy away from a difficult problem; he was a walking swiss army knife and always had the tools for the situation at hand. No matter how severely a situation tested him, Marty would never say "I can’t" - he always found a way. He believed strongly that the glass was always half full, never half empty. Many respected his positive outlook on life. He was the kind of man who, in a drop of a dime, was there for you. He would give the shirt off his back if you needed it or pull an extra one out of his overly prepared backpack. Marty was a very knowledgeable outdoorsmen. His many past times included hiking, camping, and fishing. He was also a very talented Artist, who spent long hours Drawing, Painting, and Woodburning. Everyone who knew Marty knew his love for cars, from his beloved Ford EXP to his Ford Thunderbird he was a Ford man at heart. His smile could brighten up a room, and his silly jokes, and pranks will be missed by all. Marty had a way with people, he always knew what to say, it was never a dull moment when he was in the room. He will be deeply missed by his family and friends, but as they all know wherever he is needed, he will be there.